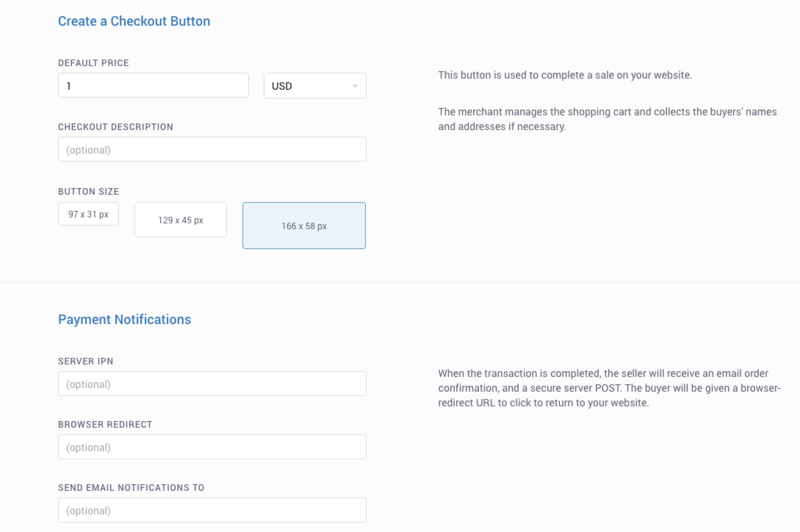 Log in to your BitPay merchant dashboard, select "Payment Tools," and click Payment Buttons. On that page, complete the necessary fields and select the "Generate" button. Once you've entered the relevant data, copy the HTML code provided and copy and paste it onto your webpage.